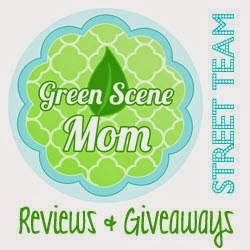 Today's review is from Maranda Lee with The original Hot Mama Handbags. I picked her Emma bag size large in the Grey Damask print and they retail for around $84 for the large. -Includes 6 pockets (1 cell phone pocket, 2 regular pockets, 3 elastic pockets perfect for water bottles, baby bottles, sippy cups, snacks, checkbook, diaper/wipes. -Spot clean when possible. Wash on hand wash (super gentle in lingerie bag) cycle, lay flat or hang to dry. No tumble. Iron if needed. The inner fabric I choose was Teal Ta Dot. There are many outer and inner fabrics to choose from and they are all beautiful. I LOVE this bag!! It is made so nice and I love all of her fabric choices. I will be using this bag for all of my daily needs. One lucky TTGG follower will be winning the same bag as shown here in the review. Enter thru rafflecopter below. I was sent these items for review purposes. My opinions are honest and I was not paid for this review. Trying To Go Green is not responsible for giveaway prizes. I love the Ash Gray Chevron! I like the black and white one the best and the one in the header is adorable. I like the Stella bag in grey and white. I love the Blue Zig Zag Chevron and the Grey! They are all so pretty! I like the pink chevron fabric. I like the Chevron prints! I like the chevron in red and white.